Manny Machado doesn’t appear any closer to signing a contract, which might be good news for teams that are pursuing the free agent but aren’t considered to be among the favorites to sign him. That group includes the New York Yankees, who remain in the race for the top infielder on the market. According to the latest update from sny.tv’s Andy Martino, the Yankees continue to check in with Machado’s camp. New York remains hopeful that the 26-year-old will consider their offer, which is reportedly lower than the one made by the Chicago White Sox. Chicago has been pegged as the frontrunner in the Manny Machado Sweepstakes. The Philadelphia Phillies are very much in the hunt for Machado, though their final offer could depend on whether or not they land Bryce Harper. If Machado takes the most money that’s on the table, he won’t end up in New York. While most free agents usually sign the biggest deal available, the Yankees would need Machado to turn down more lucrative offers. It’s at least possible that Machado will take a shorter deal to play in New York. The Yankees would reportedly be his top choice if all the contract offers were equal. It’s clear that Machado hasn’t received the record-setting offer he’s seeking, and his extended free agency has kept the Yankees in play. It’s been speculated that the Yankees’ offer to Machado would have been greater had the star been willing to accept a contract when the two sides met in December. New York has since spent money on infielders DJ LeMahieu and Troy Tulowitzki. According to Martino, the Yankees are set on having Tulowitzki start the season at shortstop. That means if Machado does decide to join the Yankees, he’ll become the team’s third baseman. New York is reportedly comfortable with moving Miguel Andujar from third to first base. Andujar was arguably the worst defensive third baseman in baseball last year. 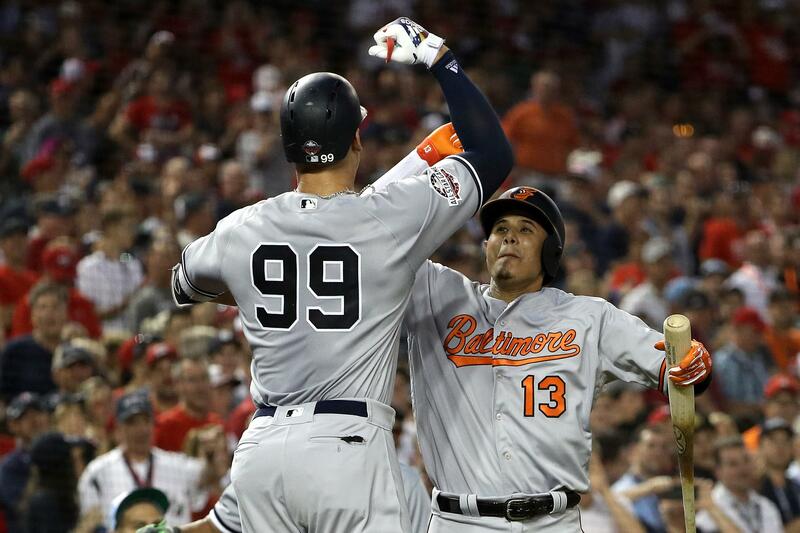 Even without Tulowitzki in the picture, a union between the Yankees and Machado would likely end with the free agent playing third base in the long term. Didi Gregorius is expected to return from his Tommy John Surgery in the second half of the 2019 season and take over at shortstop. Machado has won two Gold Gloves at third base. He’s considered to be a poor defensive shortstop.